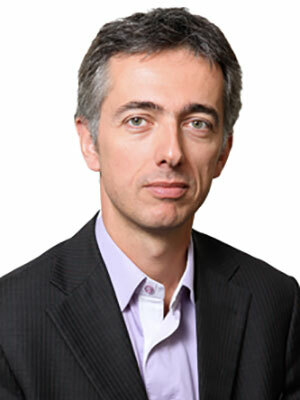 Christophe CAZABAN<br><br>Christophe CAZABAN is 46 years old, is married and has three sons.<br>He has been graduated from the French Veterinary University of Lyon in 1993. He completed his education by specific trainings on virology, immunology and avian pathology in Lyon and Maisons-Alfort (Paris) Universities.<br>He started his professional career in poultry biologicals right from the beginning. He first joined Rhone Merieux (now, Merial) in Lyon as manager of the poultry experimental unit. During the 7 years spent in Rhone Merieux which later became Merial, he held several positions from the Quality Control, to the regulatory affairs and R&amp;D.<br>In 2002 he joined CEVA Sante Animale as international technical manager for poultry vaccines. After 4 years in this position, he moved to more operational responsibilities, as poultry range manager for an area covering Turkey, the Middle East and the whole Africa. He spent there 4 more years.<br>Since 2010 and until now, he is holding the position of Global Veterinary Services Manager and Knowledge Manager for Poultry Biologicals. His responsibilities include providing scientific expertise to the field, managing some scientific investigation studies, and managing updated technical information databases on Ceva's key poultry vaccines.<br>He issued several papers about Gumboro disease prevention, vaccination techniques, chick quality, bursa of Fabricius physiology in international scientific journals or congresses.